Phoenix, Ariz. — January 18, 2017 — FastMed Urgent Care, the country’s fastest-growing urgent care company, is seeing more incidences of the influenza virus this winter at their locations in Arizona, Texas, and North Carolina. According to state health departments, all three states are showing a spike in the number of lab-confirmed influenza cases. In North Carolina, flu cases increased by 3% from October 2016 to the end of the year. In Texas, the percentage of visits due to the flu doubled from October to the end of the year. There were few reported cases of flu activity in Arizona in Q4 of 2016, however once January 2017 arrived, cases increased by 250 in just a month’s time. The influenza virus is a serious illness. It may require a visit to FastMed Urgent Care, a visit to a physician, or even a hospital stay in severe cases. The influenza virus can hit children, elders, and people with compromised immune systems especially hard. But symptoms of the flu will take a toll, even on people who are normally healthy. The flu is short for influenza, a virus that is an extremely contagious respiratory illness. It typically strikes during winter through early spring, known as “flu season.” It is caused by the influenza virus (which is actually a group of related viruses) and develops quickly. Symptoms of the flu and symptoms of a cold have some similarities. Although symptoms of each may vary by person, both typically cause coughing, congestion, and fever. The biggest difference between the two is the intensity and duration of symptoms. While signs of a cold come on gradually and last only a few days, signs of the flu progress quickly and tend to be more severe. Flu symptoms last through the duration of the flu, up to 7 days or longer. Common cold symptoms include coughing, sneezing, and headache, often accompanied by sore throat, stuffy nose, fever, and fatigue. The biggest difference between a cold and the flu will be the severity and duration of cold and flu symptoms. Coughing, sneezing, and headaches can be experienced with both, but flu symptoms will usually be more severe and last longer. Unlike a cold, which usually lasts a few days, the duration of the flu may be a week or longer. FastMed can diagnose illnesses quickly, no appointment necessary. The healthcare providers at FastMed can tell the difference between a cold, influenza, or another illness. There are testing facilities at every FastMed office for a fast diagnosis. There are several methods of treatment that can alleviate flu symptoms and shorten the duration of the virus. Sleep: Patients should aim for at least nine hours a night. Proper hydration and hot beverages: Patients should consume as many fluids as possible, including water, fruit juices, and sport drinks. The less sugar, the better. Patients should also drink hot tea or even warm water with lemon and honey to soothe the throat and clear symptoms. Humidifier: Moist air helps improve symptoms and clear the sinuses. Chicken soup: It has proven healing properties. Medications: There are over-the-counter flu remedies and antiviral medications that can ease symptoms and shorten the duration of the flu. Patients should consult a physician or healthcare provider before taking any medication. 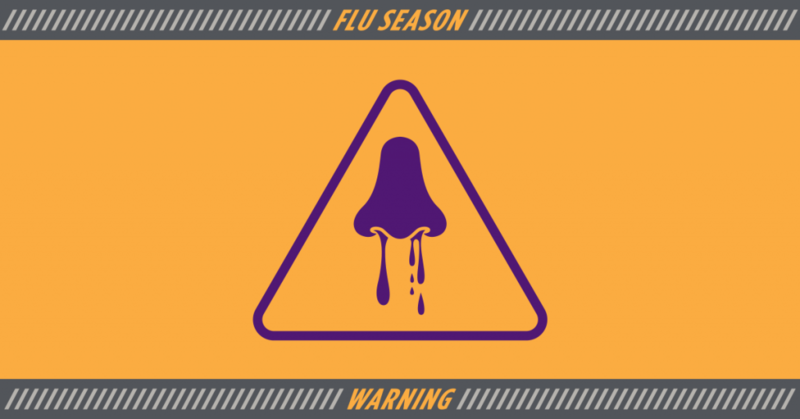 A flu spike is concerning, but it is possible to reduce the risk of illness. Practicing healthy hygiene, dressing suitably for the weather, and limiting contact with ill people will help. Getting a flu shot at FastMed Urgent Care is an excellent way for adults to prepare for flu season. All FastMed clinics offer flu shots, with no appointment necessary.